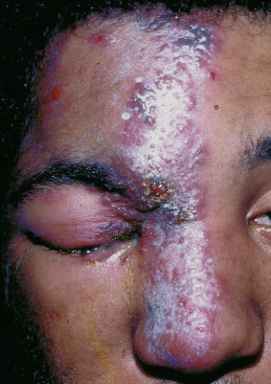 Basal cell carcinoma (BCC) is the most common human malignancy. In the United States, BCC affects almost 1 million people per year, and this estimate is likely low because no national registry exists for nonmelanoma skin cancers. 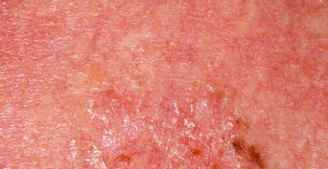 BCC typically appears in areas of sun-exposed skin, is usually slow growing, and rarely metastasizes. Prognosis is excellent with proper therapy, but BCC can cause significant local destruction and disfigurement if neglected. The estimated lifetime risk in Caucasians approximately is 1 in 5 but increases to 1 in 3 in those over age 65 living in southern latitudes. 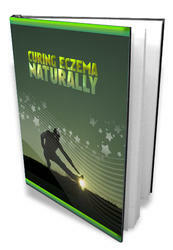 The incidence is extremely low in those with highly pigmented skin. Organ transplant recipients have a 5 to 10 times greater risk of BCC. Patients often present with a nonhealing sore on the face, ears, scalp, neck, or upper trunk. The most common type of BCC is nodular, which is usually a pink papule or nodule, with a central depression or ulceration and pearly, rolled borders with overlying telangiectasias (Fig. 33-80). Superficial BCC is the second most common type (Fig. 33-81). Sclerosing (morpheaform, infiltrating) BCC is the least common (Fig. 33-82). It is not unusual to see pigment in a nodular BCC (Fig. 33-83). A shave biopsy is usually adequate to confirm the diagnosis. Superficial BCC can be treated with ED&C or topically with 5-FU or imiquimod. Imiquimod 5% cream once daily five times weekly for 6 weeks for superficial BBC produced an initial clearance rate of 90%, with 80% of subjects clinically clear at 2 years (Gollnick et al., 2005). In another study, superficial BBC lesions on the trunk or limbs were treated with 5-FU cream twice daily for up to 12 weeks. The histologic cure rate was 90%, and mean time to clinical cure was 10.5 weeks. 5-FU was generally well tolerated, with a good cosmetic outcome; most patients had no pain or scarring and only mild erythema (Gross et al., 2007). tissue margins. MMS is the removal of tumor by scalpel in sequential horizontal layers, in which each tissue sample is frozen, stained, and microscopically examined. This is repeated until all the margins are clear. MMS is the treatment of choice for BCCs greater than 2 cm, with poorly defined margins, with aggressive histology, involving areas of cosmetic or functional importance (mouth, ears, nose, eyelids), or recurrent lesions (Thissen et al., 1999). Patients diagnosed with BCC have an approximately 30% higher risk than the general population of being diagnosed with another BCC unrelated to the previous lesion. Because BCC can recur, patients should have frequent full-body skin examinations at least twice yearly for the first 2 years, then yearly if no new lesions occur. As with all sun-related malignancies and precancerous lesions, patients must be instructed on sun protection and sun avoidance.